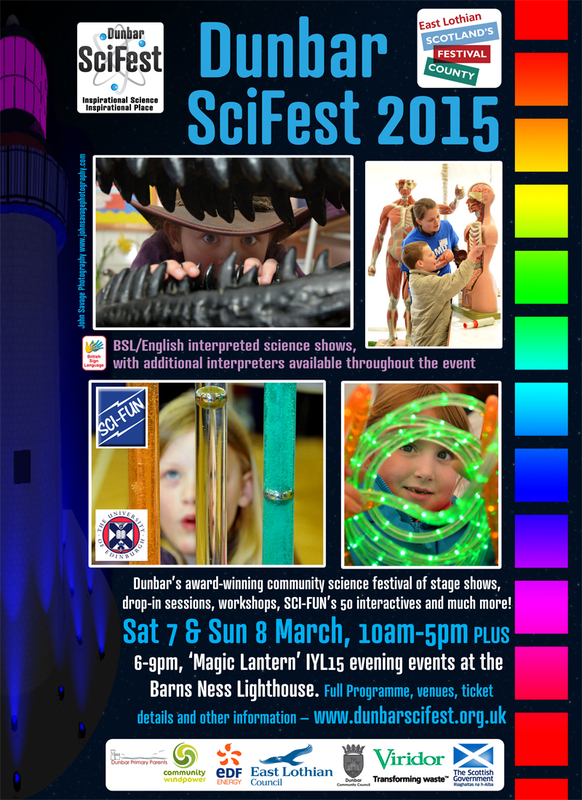 The Dunbar SciFest 2015 Weekend is Saturday 7th and Sunday 8th March 2015 (10am – 5pm both days) in the John Muir Campus of Dunbar Primary School and the Bleachingfield Community Centre, with cafés in both venues. 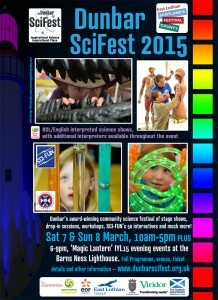 Get stuck into wacky workshops, sit back and enjoy science stage shows and have family fun at diverse drop-in sessions. For under-fives, there’s storytelling and soft play. The stage shows are presented in British Sign Language (BSL) or are BSL/English interpreted. Next parent council meeting is Tuesday 3rd March. Previous minutes and future PC meeting dates can be viewed on the Parent Council website under pull down menu ‘About our Parent Council’.